I ran the current Yeoman SharePoint generator, and got the following ts-lint file in the config directory (with a few minor tweaks added). From what I can tell the trailing-comma rule should be disabled (it's set to false), but it's not. I'm still getting red squigglies when I don't have a trailing comma. // project). If true, this flag will deactivate any of these rules. // which are active, other than the list of rules below. I like to use the TSLint extension on Visual Studio Code to immediately flag errors. This is very useful as you can see them before you save and wait for a build task to flag them. What I don’t like, is that the TSLint config file (tslint.config) is generated inside the config folder by the SPFx Yeoman generator. 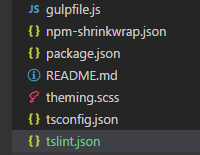 When you open a project folder with Visual Studio Code, TSLint (assuming that it’s installed) will by default look for a tslint.config file at the root of that folder and use that configuration to display information on the Problems window. Guess what? If the file is not there, TSLint won’t display any issues, which is the default for any SharePoint Framework solution. Fortunately TSLint supports that (and a lot more if you look at the documentation), so in order to solve the problem you simply need to tell TSLint where to find the correct configuration. For the following to work, you need the TSLint extension for VS Code and TSLint installed globally (npm install -g tslint). Start by creating an empty tslint.json file at the root folder of your SPFx project. That’s it! 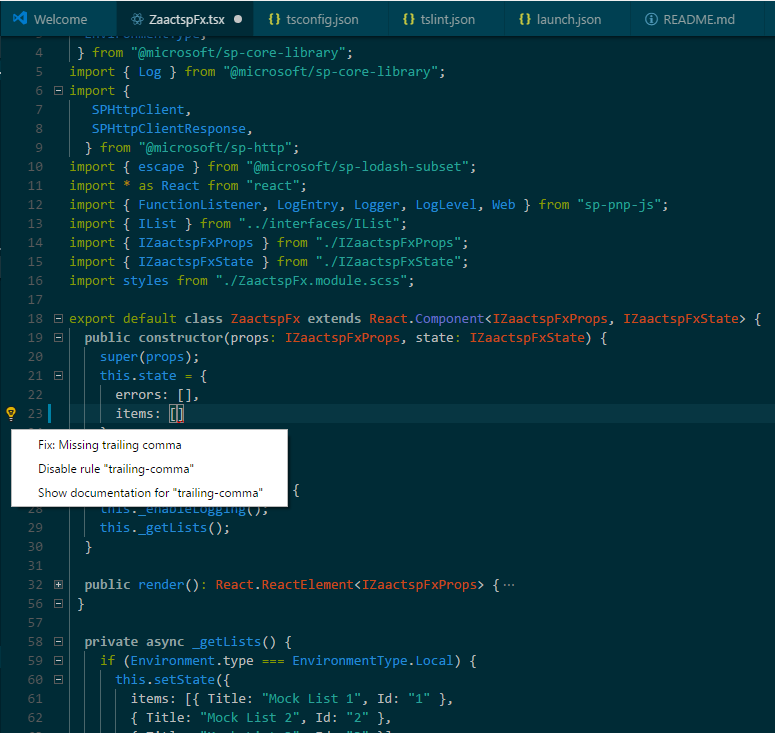 Now close and reopen VS Code and you should see warnings and errors on the Problems window.